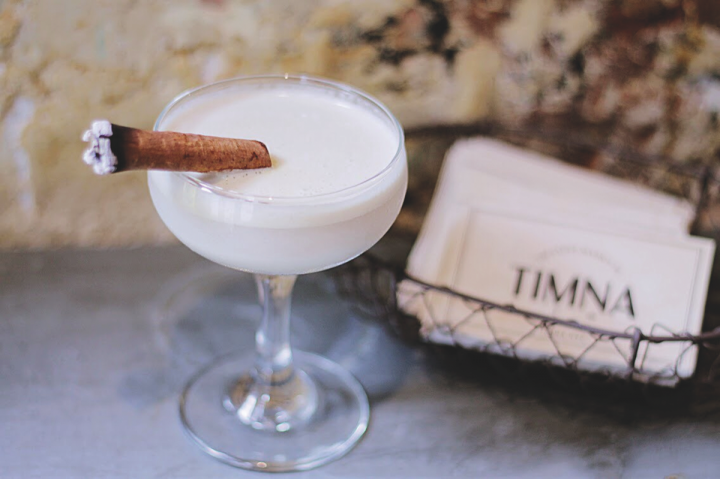 The sessionable Tahini Martini at New York City's Timna blends Dolin Dry vermouth, raw tahini, lime juice, house-made anise syrup and a date honey syrup imported from Lebanon. Chef Nir Mesika created many of the drinks on Timna’s menu, including the Wicked Red ($14), which features a low-proof vodka called Klir Red, as well as fresh beet and lemon juices and orange blossom water; and the Tahini Martini ($14), comprising Dolin Dry vermouth, raw tahini, lime juice, house-made anise syrup and a date honey syrup imported from Lebanon. “One of the things we like most about session cocktails is that they’re the perfect option for those who want to have a few cocktails over dinner, or those who want to start the evening with a cocktail and later switch to wine,” Magen says. 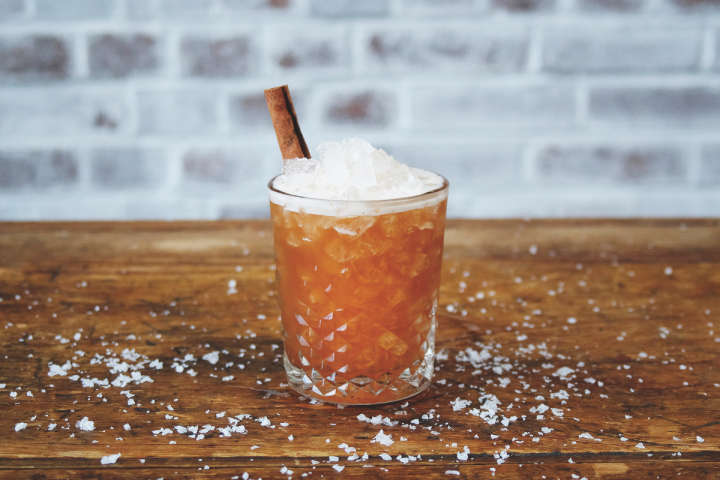 Even with the lower alcohol content, session cocktails can still pack a flavor punch, especially with the addition of house-made tinctures. 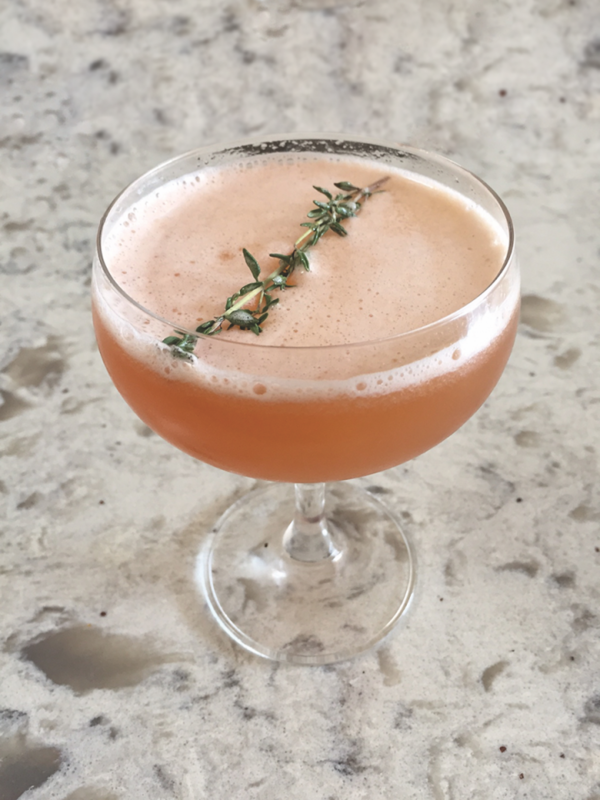 At Cindy’s in Chicago, “spirit guide” Nandini Khaund’s Miss Beauregarde ($12) is a beer-based cocktail comprising Off-Color Brewing’s Apex Predator saison, lemon juice and house-made blueberry-ginger Demerara syrup. Myriad Gastropub's low-abv Old Timer blends Lo-Fi dry vermouth, Carpano Antica Formula sweet vermouth, lime juice, house-made thyme syrup and Angostura bitters. Bright and bubbly cocktails are always a hit, notes Camille Ralph Vidal, global brand ambassador for St-Germain. She notes the continued popularity of the elderflower liqueur brand’s signature St-Germain Cocktail, a blend of the liqueur, Champagne and sparkling water. Sparkling wine is indeed a common ingredient in these lighter, aperitif-style session drinks that are currently in such high demand. At Boa Steakhouse, which has two locations in Los Angeles, the Floral Bloom ($15) features Charles Lafitte Brut Rosé Champagne and a foam made with Patz & Hall Chardonnay and St-Germain. 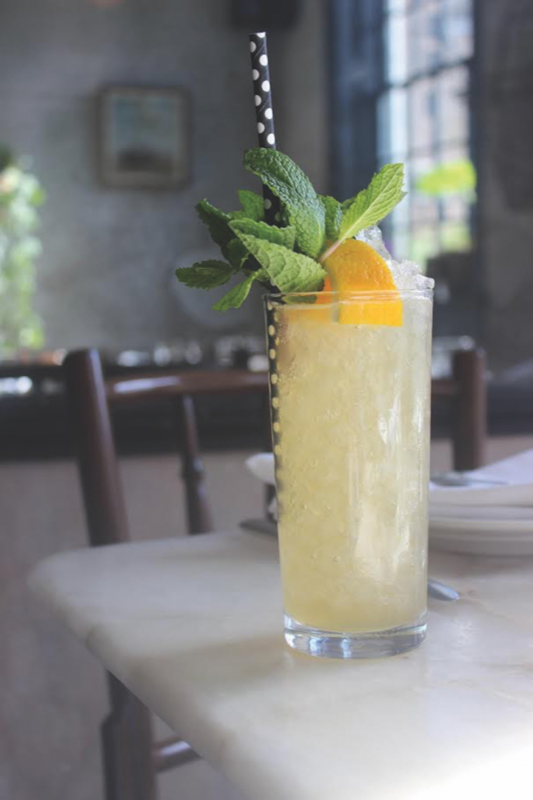 At Timna, former manager Amir Nathan’s Peace in the Middle East ($14) comprises Dolin Dry vermouth, fresh lemon juice, house-made lavender syrup and Paul De Coste Blanc de Blancs Brut sparkling wine. Beyond sparkling, there’s a wide range of different, complex wines to choose from when making low-proof cocktails. Though typically featured as a modifier in classic cocktails, vermouth shines when used as a base ingredient. Myriad Gastropub’s Swisher notes that vermouth is his favorite low-proof product to use in session drinks, so he’s happy to see it “becoming more mainstream.” Lo-Fi vermouth, which is produced in Napa, is his preferred brand. His Old Timer cocktail ($13.50) features Lo-Fi dry vermouth, Carpano Antica Formula sweet vermouth, lime juice, house-made thyme syrup and Angostura bitters. “I love amari and aperitifs that have spicy, herbaceous notes,” says Lisa Nguyen, bar manager at Seaworthy in New Orleans’ Ace Hotel. “They’re great for adding depth and complexity.” She notes that these types of spirits have long been favored among industry professionals and are becoming more common in popular cocktails. The Outer Banks ($11), created by Seaworthy’s consulting bar program manager Lauren Schell, comprises Averna amaro, Carpano Antica Formula sweet vermouth, house-made ginger syrup, lime juice, Angostura bitters and a splash of club soda. At Cindy’s, Khaund’s Roman Holiday ($15) mixes Meletti amaro with Campari aperitif, La Colombe Pure Black cold brew coffee, Demerara simple syrup, pineapple and lime juices, and a pinch of sea salt. “These products bring great, big flavors to a drink, and fresh fruit and syrups help to balance the different nuances of those ingredients. Adding a sparkling wine or soda gives the whole drink texture,” Nguyen adds. Her Stranger Than Paradise cocktail ($11) comprises Dolin Blanc, Giffard Elderflower liqueur, lemon juice and house-made honey syrup, topped with a splash of Fever-Tree Bitter Lemon soda and a spritz of Kübler absinthe. In a cocktail shaker, combine the vermouth, lemon juice and syrup. Add ice and shake. Strain into a Champagne flute. 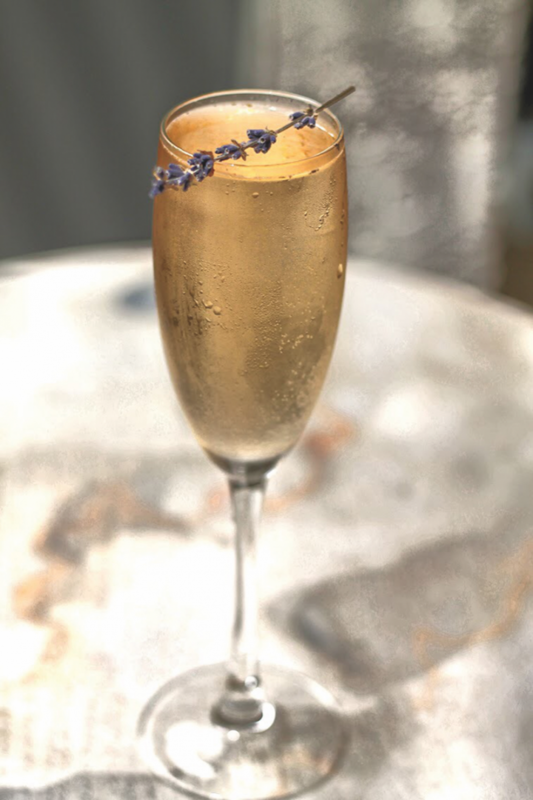 Top with Blanc de Blancs and garnish with a lavender sprig. ¹Boil 1 quart water, 1 quart sugar and 1 cup dried lavender for 5 minutes. Let sit for 24 hours, then fine strain. In a shaker, combine vermouth, liqueur, lemon juice and honey syrup. Dry shake and pour into a Collins glass. Top with soda. Add crushed ice all the way to the top in a dome-like shape. Garnish with mint and orange wedge. Spritz with absinthe for aromatics. ¹Mix equal parts honey and water until honey is dissolved. In an ice-filled cocktail shaker, combine amaro, aperitif, coffee, juices, simple syrup and salt. Shake ingredients, strain over crushed ice, and garnish with a cinnamon stick.